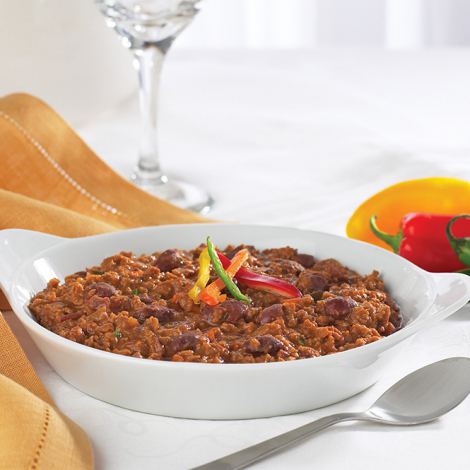 If you’re looking for an ideal entrée to spice up your nights, Bari Life Vegetable Chili is an excellent choice! It’s a perfect vegetarian option for anyone trying to lose weight! This satisfying entrée tastes great, and provides 15 grams of soy protein which makes it work well with many healthy eating plans, particularly those following weight loss surgery. This is my favorite of all the Barilife entrees! Add on a sprinkle of cheese and it is every bit as good as homemade! A little salty, but I put a very small amount of low fat sour cream or low fat cheese on top and it takes the salt taste away. I honestly love this so much – it tastes great and is so easy to make. I buy extra to have on hand as a quick and easy lunch. This has a great bean flavor and the “meat” tastes good. I do not find this too salty at all. It is great with some extra chili powder. This applies to all five entrees. Leave out a fourth of the salt you are using now and you will have great meals.